Well, if you’re reading this, you have probably been affected by what has been termed as Instagram’s “shadow ban,” or are just curious about it after having heard about it from users who have been affected by it. It has been a few months since Instagram has been ‘shadow banning’ accounts, but officially, Instagram just calls it a “glitch” in their system. Basically, shadow banning is simply making you invisible to users that don’t follow you. To be more specific, your posts would only be seen by your followers, but would be non-existent to other users. Although Instagram refuses to call it a part of their algorithm, there are reasons to believe it as a new update to their algorithm. The fact that it seems to be targeting business accounts in particular, is actually a reason enough to not buy Instagram’s explanation of the problem. With that said, let’s take a look at what seem to be some common factors attracting a shadow ban. Anything that automates actions on your account is certainly not a safe way to go about managing your Instagram account. Instagram makes it pretty clear on their Terms of Service page that they do not allow automation of any kind, and it’s likely that they would want to hit you with something like a shadow ban if you’re into such stuff. Now, when we say bots that automate actions on your account, we not only mean the ones that follow and unfollow users for you, but also the ones that post for you. Imagine your account posting an image from a location in Los Angeles (the bot or proxy’s location), and then a few minutes later being accessed from another IP in Chicago (your phone). Wouldn’t that raise a red flag? That being said, the “bots” that remind you to post manually, which actually work more like reminders than bots, should still be perfectly fine. Just like using bots, Instagram is also pretty strict when it comes to the number of actions you perform per hour. As a matter of fact, abusing Instagram’s hourly limits for actions performed may very well turn out to be one of the most important factors for attracting the shadow ban, as it seems to be targeting unusually or extraordinarily active accounts in particular. Now, when it comes to figuring out your account limits, it’s important to note that they tend to be different for everyone, and the account’s age is usually a crucial factor in determining them. However, generally speaking, you wouldn’t want to exceed 60 follows and unfollows, 60 comments, and 150 likes per hour, if you want to be absolutely under the radar and in the safe zone. Simply put, if you have been using the same set of hashtags for months on end, it may likely trigger Instagram’s quality filters. It may make your posts come off as spam, which is obviously something that’s going to affect your account in a negative way, and it can be in the form of a shadow ban. Although this may get you something much severe than a shadow ban, the possibility of getting shadow banned due to some users reporting you cannot be ruled out. 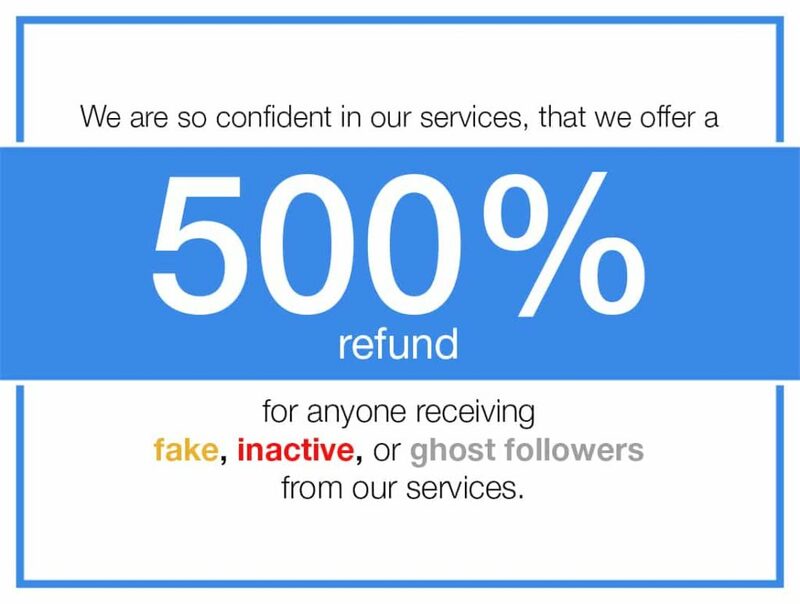 If you have been scamming or fooling your users or providing them with something totally different from what they expect, it may make them report you. Now, first things first, there are no surefire ways of getting out of an Instagram shadow ban. As it’s a fairly new issue, it will probably take some time to figure things out for sure. However, there are certainly a few ‘fixes’ to the issue, but they may turn out to be more of a hit or miss thing. Whatever they are, though, we will walk you through them below. Although it’s a given based on what we mentioned above, we still want to make sure that sometimes, simply stopping all kinds of bot activities may help you get out of the shadow ban. There are certain hashtags on Instagram that are marked ‘abused’ by Instagram’s algorithm, especially when questionable content is posted along with these hashtags. Now, the thing is, they may or may not be obviously related to inappropriate content, which is what makes it tricky to avoid using them. For instance, even a hashtag such as #beautyblogger may be abused, so you need to check the hashtags you use more often and make sure they are perfectly clean. If your shadow ban is a result of some unusual or extreme activity on your account, simply take a break and don’t do much for a couple of days or so. Once you resume posting on your account, consider starting slowly and then gradually increasing your activity. Now, this seems to be actually something that has worked for people. However, it’s obviously something you wouldn’t want to do if you can avoid it, so you may want to try other ways of getting out of the shadow ban before going for this one. Also, it’s important to note that some users have apparently also reported of this ‘trick’ working only for a while and then the account going back into the shadow banned state. Again, this is something very similar to the above trick. And while it’s actually a pretty simple thing to do, it isn’t something you can rely on. But then again, nothing seems to be reliable enough as of now.